About Old Main Gallery Since its establishment in 1964, Old Main Gallery has been a fixture to Historic Downtown Bozeman, Montana. In 2015 Old Main Gallery established a close partnership with Edgewater Galleries in Middlebury, Vermont allowing for a substantial remodel and rebranding. Old Main Gallery focuses on regional contemporary work. 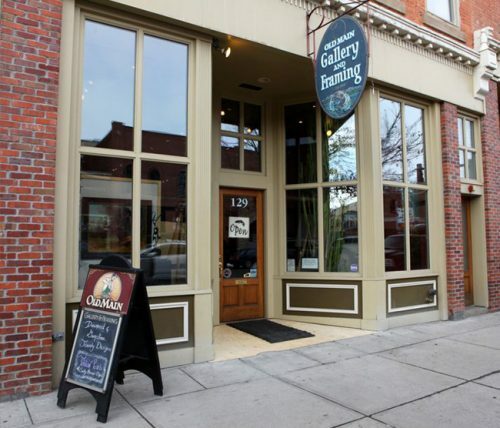 Through evocative and engaging exhibitions, workshops & lectures, the gallery’s goal is to provide Gallatin Valley and beyond with a holistic understanding of and appreciation for contemporary locally based fine art. From abstract to realist, landscape to figurative, the Gallery strives for diversity while maintaining a Western emphasis. The Gallery offers an intimate viewing experience, contrary to typical salon-style galleries found throughout the west. With clean white walls and high ceilings the Gallery creates an undistracted and inviting space to appreciate and experience contemporary art. Over the years, Old Main Gallery has developed a strong identity while representing Bozeman and the contemporary art in the region.